Flyfishing, snorkeling and exploring South Eleuthera with Flats Week! This past week, Flats Ecology and Conservation Program of the Cape Eleuthera Institute welcomed four students to our campus for Flats Week. Lead by Aaron Shultz, CEI director, and Georgie Burruss, Flats Ecology and Conservation Program research technician, as well as the summer interns, Connor Gallagher, Emilie Geissinger, and Chase Goldston, the group spent the week conducting research, flyfishing, snorkeling, and exploring South Eleuthera. Searching a seine net haul of mottled mojarra, looking for juvenile bonefish. Two of the students learned how to fly fish for the first time. The group fished for bonefish for two days on the flats of South Eleuthera with Manex, a local bonefishing guide from South Eleuthera, and ended up successfully landing several bonefish. The group assisted with the Bahamas Initiative bonefish tagging program, founded by the Bonefish and Tarpon Trust (BTT), Fisheries Conservation Foundation (FCF), and Florida Fish and Wildlife Conservation Commission (FWC). A genetic sample was also taken from each bonefish caught as part of a genetic connectivity study by Dr. Elizabeth Wallace (FWC), Christopher Haak (University of Massachusetts Amherst). The Flats team spoke with the students about the controversial proposed regulations for managing the bonefishing industry in the Bahamas. The team highlighted the need for regulation of the bonefish fishery in the name of conservation. The group contributed to research with Carleton University’s Cooke Lab graduate student, Petra Szekeres, looking at how light pollution effects adult bonefish and learning how to conduct chase to exhaustion experiments. 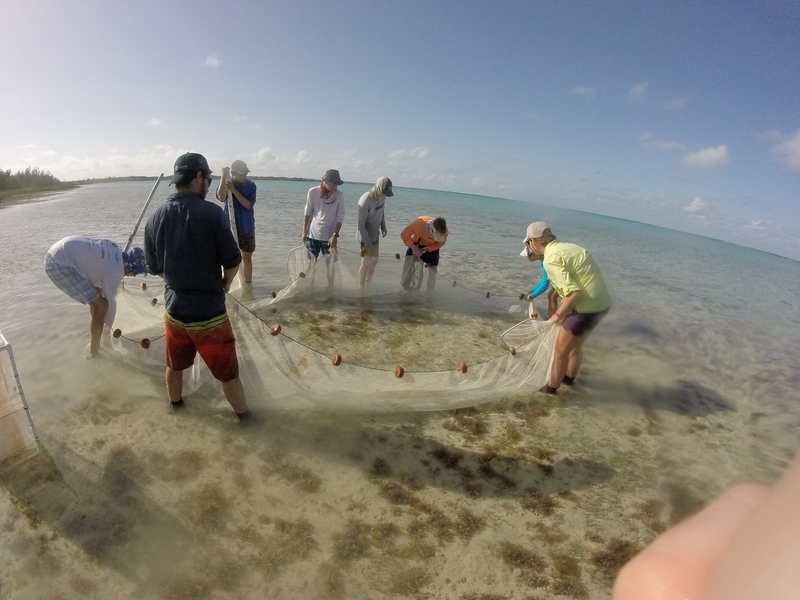 They also assisted Petra in catching over 30 juvenile bonefish to return to CEI for experiments, making it one of the most successful days yet for juvenile bonefish collection. They spent a day at a local pond, assisting the Inland Pond Project as well as flyfishing. The students snorkeled blue holes, learned about their formation and also saw several southern stingrays and many fish species. The students ended their week with a short down island trip, traveling to the banyan tree, the Rock Sound ocean hole, and the bat caves, focusing on how tourism and development has shaped South Eleuthera. 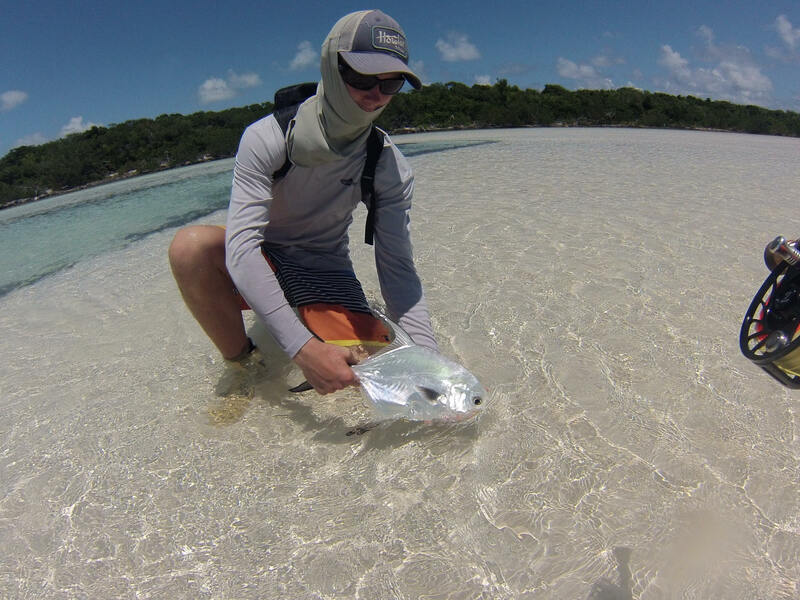 Flats Week participant Johnny Kellogg with landed fish in South Eleuthera. If you are interested in participating in Flats Week in August 2016, please visit the CEI short courses webpage. Previous PostThe South Eleuthera Children’s Camp celebrates its 20th year!Next PostSummer interns witness the annual spawning event for the Brown Encrusting Octopus sponge!